817 S Edison Avenue, Tampa, FL.| MLS# T3162737 | Westchase Real Estate - Westchase FL Homes For Sale - Westchase Local Experts. 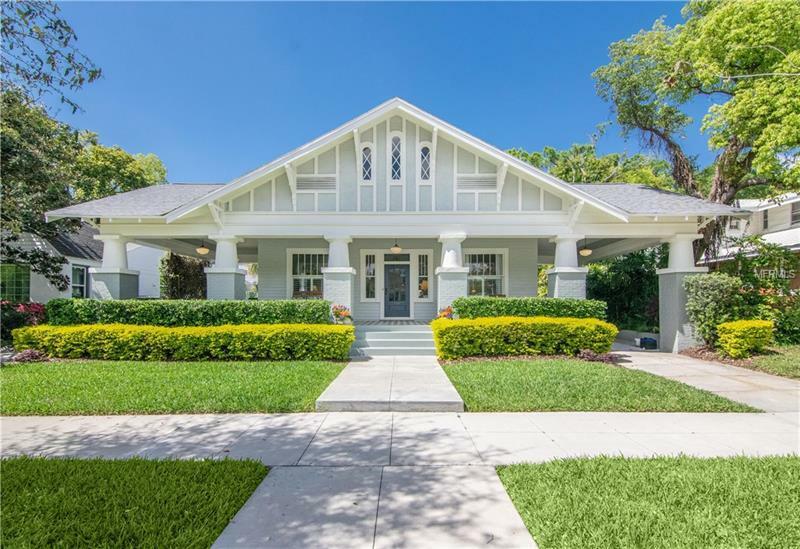 Classic craftsmen Hyde Park bungalow with gorgeous wrap around porch.This home welcomes all the charm of the Hyde Park area with hardwood floors, fireplace, high ceilings, french and pocket doors in the dining room. Enjoy the open kitchen and living area with large island, bar seating, stainless steel appliances, breakfast nook and butler pantry. This first floor includes the master bedroom with updated bathroom as well as another bedroom and full bath. Upstairs are another 2 bedrooms and bath and well as a large laundry and additional den/office. Enjoy the tranquil outdoor space with mature landscaping, pond, and brick pavers. In addition the interior includes fresh paint and the home has a new roof, 2019.